Some day in October 2015 I received a private message from Kooshmeister, who was looking for a fan-artist who would be able to make a comic of (a part of) his story The End of The SWAT Kats and so he wanted to contact my illustrator for this. As Jan isn't a fan-artist and had quite a busy schedule at that time I couldn't really help him with this, unfortunately. I've also explained to him why creating a whole comic probably wouldn't be realistic and why I went for the illustration approach for my story instead (see part 2 of this retrospection). While having this little discussion I sniffed the chance to get some feedback about my story from someone who has written quite a lot of fan-fiction stories himself with some of them sometimes being referred to as must reads. So I asked Kooshmeister if he had read my story and if he would like to share his opinion with me. I also told him about my disappointment concerning the performance of my story so far. He told me that he had skimmed it and to my surprise he also explained that he has similar problems with his stories. I was really surprised hearing this from someone who's been around for quite some time in this fandom and who has acquired a, let's say... not so insignificant reputation. Now being aware of my problem he told me that he would read my story more thoroughly than he actually did in order to give me some detailed feedback (the thing that I was longing for so long ). When I actually received it I had the feeling that I owed him and so I started to read The End of The SWAT Kats and reviewed it in return. That's why I'm referring to this as a review trade. It's important because this private message discussion is actually the birthplace of this retrospection you're just reading. I already had the idea to do this before Kooshmeister had contacted me, but I was heavily discouraged to do it, because of my (false) assumptions about the story's performance. Now that I know that my story's problem seems to be more of a general problem SK fan fictions have these days, I wanted to make these insights available for everyone who might be interested in it and I also hope to save other rookies from suffering unrealistic expectations like I did. Moreover I hoped that I would also get some additional opinions and insights from others when they read this retrospection (especially part 3)... and I actually got some (although I hope that I might receive some more in the future). Now that the circle is nearing its completion I'd like to talk about some additional promotion attempts in my next post which seem like having been a bit more effective than my swatkatshangar/Kickstarter approach which I've already mentioned. I'm also gonna take another look at the statistics which show that a certain event had quite an influence concerning the viewers and the sessions of the webpage for a short time. Ooh, wow, well, I'm glad I was able to help inspire you to write this big retrospective. I just wish I had the patience to sit down and do one for my own story. I think that not just Swat Kats fanfics have these problems, but any kind of fanfic. I mean, the world has it's trends that are constantly changing. One year a show can be very famous, making a fanfic difficult to be notice since there is a lot of people writing about them (the good fanfics can be missed by this overload) and the year after the same show can be forgotten and it's fanfics read by just a few who are still leal to it. Even renamed writers can suffer from this and never get the attention they deserve. In the end, I think that a fanfic is good firstly if you had fun writing it, as well as the people who read it. Cait wrote: I think that not just Swat Kats fanfics have these problems, but any kind of fanfic. I mean, the world has it's trends that are constantly changing. One year a show can be very famous, making a fanfic difficult to be notice since there is a lot of people writing about them (the good fanfics can be missed by this overload) and the year after the same show can be forgotten and it's fanfics read by just a few who are still leal to it. Even renamed writers can suffer from this and never get the attention they deserve. In the end, I think that a fanfic is good firstly if you had fun writing it, as well as the people who read it. I like your remark on the trends which are constantly changing as it's a good assumption on some of the problems we've discussed here. I'm glad you like it and as War Games is listed in the "Must Read"-section on swatkats.info I guess it can't be that bad. Before talking about my additional promotion attempts I'd like to discuss an issue first which crossed my mind often and I think fits quite well at this point. It concerns a significant difference between images and words. People tend to judge images after a few (milli-)seconds, because we react on visible stimuli very quickly. This is because of our visual sense probably being the one which has been trained the most. This sense was (and sometimes still is) vital for our survival ("Is that creature over there a threat? ", "Is there any food around here? ", etc.) That's why it doesn't take long for most people to say something like: "Hey, I really like that! ", "Oh, this looks nice!" or "No, I don't like it at all". So this is actually being a big advantage an artist has compared with an author. But there is a big BUT accompanied with this: most people probably don't look at the details of an image long enough such that they could really appreciate them and so this is basically the same problem which fan fiction writers have, but it's way less obvious. I assume that more than 90% of the viewers do this and so the details the artist actually put into it are lost for those viewers which is essentially the same problem as for a story that hasn't been read completely. Ironically, some of these details probably would be noticed by the viewers if they are actually missing on the other hand. I think it's also easier for a musician to get a response about his work, because our listening sense is trained to judge our surroundings and is active all the time, like our visual sense. So people simply need to listen to the music and can make a positive or negative statement when they've finished listening to it (or even sooner). But when people take a look at a story, they can't just rely on their senses. They have to take time for it, they need the patience for it and they have to pay full attention to it. Hope this doesn't sound arrogant, but unlike just passively looking at an image or listening to a tune, this requires using our brain (what also happens when we analyze an image or a music track thoroughly). It's nothing you can do passively or by-the-way. This became clear to me when I released my first music track which I've dedicated to "The Descent"-comic. Unlike for War Games it didn't take long until I received first feedback from other forum members (see this post) which is in retrospect not really a surprise as the whole track can be listened to in less than two minutes. This may be an insight which isn't exactly new to most of you (it's neither to me), but it took quite a while before I noticed how this affects the performance of my story and probably the performance of fan fictions in general. In November 2015 I've made another attempt to promote the story by registering accounts on FanFiction.net and deviantArt. I used the first one to upload a text-only version of the story with a reference to the illustrated version on swatkats.info and the second one to upload the cover image and the image of chapter 12 (the one showing Dark Kat grabbing Razor at his throat). Since MoDaD had decided to use the latter image for the header in the encyclopedia, I picked that one too for this as this is probably a better choice than the one I've made for the swatkatshangar. I also added a profile text which is based on my introduction post here on MegakatCity.com with some modifications and the additional information explaining that I mainly created these accounts to promote War Games. So let's take a look at the statistics and see if these additional promotion attempts or any other events that I've marked on the chart had an influence on the sessions (please click on it to enlarge). As you can see, my first promotion attempts on Kickstarter and swatkatshangar didn't seem to have any significant influence on the sessions. The FanFiction.net/deviantArt attempt on the other hand might have been more successful for a short amount of time. I assume that the increase of the sessions are mainly the result of the release on FanFiction.net as the images on deviantArt hadn't been viewed that often (less than a dozen times back then) while the FanFiction.net-version had 41 visitors in the days that remained in November 2015. So I guess it was a good idea to re-release it there. Also publishing this retrospection might have had some influence on the number of visits (and hopefully still has). Then there was another event of which I wouldn't have thought that would have an influence on this: XMAS. 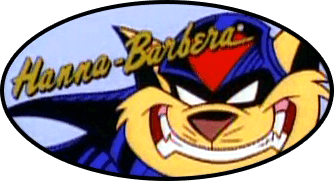 I don't know why, but during XMAS some people seem to have had the time to remember SWAT Kats in general for some reason. At December, 25th being visited by 42 users, MegakatCity.com reached it's highest visitor rate since it had been introduced (this rate was actually only topped just a few days ago). I think that also swatkats.info and thus its subdomains benefited from that. When you compare the chart above with the one I've posted some time ago there is a significant change in the numbers that pleases me very much: the number of returning visitors has increased from 6.2% up to 15.7% which is a significant difference which leads me to the following simple insight: sometimes you just need to be a little more patient. The readers that matter are those few that actually read and enjoy your story... and these are the ones you are actually writing for. Mr. Goodkat wrote: The readers that matter are those few that actually read and enjoy your story... and these are the ones you are actually writing for. As you can see about 600 new visitors have watched the page since December 2015 and the other values haven't changed significantly. Same goes for the amount of downloaded pdf-files which is currently 100, although a few of them should be subtracted for being test downloads. With 16.1% of returning visitors (-> every 6th visitor) and about 100 downloads this is probably all I can ask for and I'm honestly satisfied with this. I know... I said that already at the beginning of part 3, but this time I can say this for certain, because this chapter is basically the implication of everything which we've discussed in the previous parts. I would write the whole story before I would start to publish it (exactly like I already did with War Games). BUT I would release the story chapter-wise on all platforms on which I want to release it in parallel, trying to end each chapter with a cliffhanger such that the readers would be motivated to come back. This would also increase the chance to receive more feedback and it would be easier to digest by the readers who got hooked. I would also see to it that it's promoted through the social media every time when a new chapter is released. For illustrations I might team-up with a fan-artist this time, having his/her very own style such that the images would have a more personal/individual touch. At this point I think it's necessary to repeat that it was a great experience working with Jan and that I personally really like what he has created as the images pretty much look like I've imagined them. So if you read this, Jan: Thank you so much for having been part of this project! I would try to write something between 15.000 and 25.000 words as I have the feeling that this is a scale which most readers would be willing to read without saying "I'd love to read it, but I currently don't have time for it." and then forgetting about it... I've experienced this myself when I was reading Kristen Sharpes' They that walk in darkness (~25.000 words) and Kooshmeister's The End of the SWAT Kats (~46.000 words). For the latter I had to push myself to read the last part although I've really enjoyed it. I would also set this limit for my own sake, because writing extensive stories (and extensive retrospectives, by the way ) costs quite some time and energy. Furthermore, if readers discover the story after I've finished publishing it completely, they would probably gonna be less likely overwhelmed by its scale. But I wouldn't necessarily limit myself to that range if I have the feeling the story needs to be fleshed out more for some reason. I would keep Ty-Chou's Litmus-Test in mind in case my next story would move it's focus more onto Matthew/Specter (what would probably happen with the ideas I have in mind for him). I would wait longer (about a year) before starting to worry about feedback as people need time to discover and to read it. I wouldn't expect too much reactions from the readers and thus being less frustrated. And concerning my writing techniques: I would do it the same way as I described in part 1 and 2 of this retrospective. But there is always room for improvement, of course. It should be something you do, because you want to do it without having any expectations how it performs (I know to well that the latter can be quite difficult). It should never be a competition like: "My story is better than yours" or "I have more views/visitors/feedback than you". This is supposed to be the last post of my retrospective but this doesn't mean that you can't write a reply after this. On the contrary. So if there is anything you like to add to this retrospective (no matter which one of the four parts it concerns), don't hesitate to write a reply. I'm gonna try to answer or comment it whenever I find time. So, thank you very much for reading this retrospective. I hope you enjoyed it and that it may help you when you are writing a fan fiction story yourself. And thanks to all of you who shared their opinions and personal experiences in this thread. 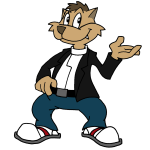 And now it's time to pass over the torch to Kooshmeister and his retrospective about The End of the SWAT Kats. Again, thank you so much for it, Poecat. It really made my day and I've recognized the third SWAT Kat immediately even before actually reading your post.